In a move that has been in the works since over a year ago, Lenovo is set to bolster its computer business – which has slipped in terms of performance this year – by snapping up a majority stake in Fujitsu’s PC division. 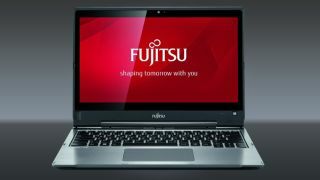 Fujitsu Client Computing Limited (FCCL) was spun off by Fujitsu in early 2016, and later in the year, the company said it was exploring a ‘strategic cooperation’ with Lenovo. That has come to fruition with FCCL becoming a joint affair owned by Lenovo, Fujitsu, and the Development Bank of Japan (DBJ) – with Lenovo having a 51% stake, and DBJ owning a 5% stake (with Fujitsu having the rest, naturally). Lenovo will initially pay Fujitsu $156 million (around £120 million), with a further up to $112 million (£85 million) to be paid depending on the company’s performance running up to 2020. Doubtless Lenovo hopes that this will help shore up its PC sales figures, which as mentioned have taken a bit of a dive this year, with the company losing its number one spot in the global market to HP Inc. Previous to that, Lenovo was top dog in the PC arena for quite some time, but back in July, going by Gartner’s figures for Q2 2017, it lost that crown with shipments dropping by 8.4% year-on-year, whereas HP grew by 3.3% to overtake the Chinese giant.